The “singularity” in SingularityNET refers to a concept first proposed by science fiction writer Vernor Vinge in 1993, where at some point in the future technology will reach a stage of such overwhelming influence on all our lives that everything about humankind’s future will be so different that it is almost inconceivable to us now what that world will look like. 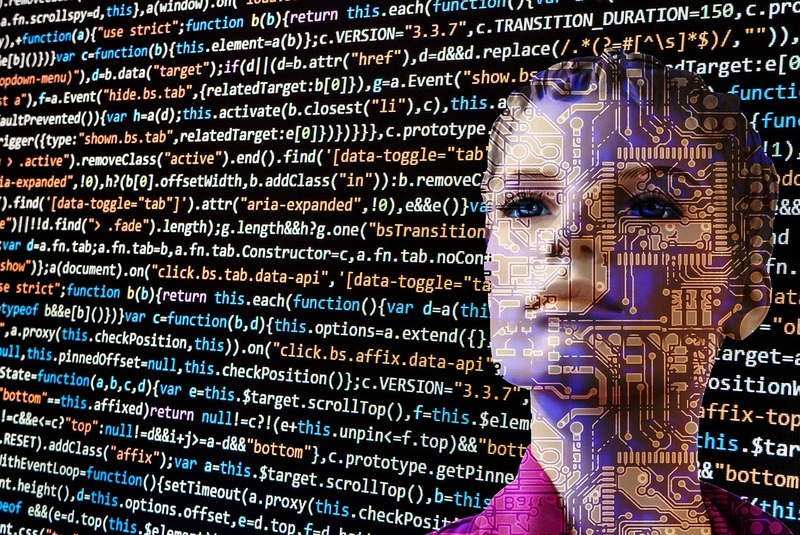 Though the concept is somewhat open to interpretation, especially in terms of which technologies will be the game changers that impact us so deeply, many by default take the singularity to refer to when artificial intelligence becomes as capable as human intelligence, and quickly thereafter much more capable. It is arguably the most significant and transformative step in human evolution when human beings are no longer the smartest entities on the planet. How fast will technology expand when computers can program themselves, making their development exponentially rapid, beyond its current breakneck pace? Currently, artificial intelligence (AI) is a scattered mix of successes and difficulties. In some ways it seems to excel, such as computers beating humans in games like chess or go, and in others it’s completely unimpressive, such as systems recommending products to customers that often just repeat back to them their previous purchases. Interactive robots often as not fall into the uncanny valley of being kind of close to what a human is like, while still being far enough to be disturbingly unnatural. All over the world, developers in the field of AI are creating different approaches to different problems, with varying levels of success. SingularityNET wants to build a decentralized protocol for creators and users of AI to interact with each other, to not only help individual projects benefit by leveraging the strengths of other AI systems that might handle certain tasks better, but ultimately to develop SingularityNET into a functioning AI system itself, with nodes on the network making their own decisions about how to connect services and proactively provide solutions to academic and business problems. Whether or not building a global AI service will lead to some kind of science fiction dystopia or utopia, or something in between, is left to individuals to consider on their own terms. The question here is, what is the value of bringing a blockchain into the process? Tokenizing the network creates an AI marketplace where AI developers and sellers can not only link with others who might assist in building more robust AI solutions, but also allow AI services and products to be bought and sold, creating revenue and establishing price points where none have existed before. SingularityNET provides APIs for groups to access AI services that might be outside of their specialty. For example, an AI development group might want to make a system that identifies cats in a video. That group might specialize in using AI to parse images, but not have the resources to fully develop an audio-parsing algorithm. With SingularityNET, they would access the larger network of AI services to find another group specializing in audio parsing. By paying for that audio parsing with AGI tokens, they are essentially outsourcing the components of AI that they don’t want to focus on, freeing their development resources to focus on the visual parsing. Later on, when the SingularityNET system becomes more robust, it will be possible for businesses or groups that don’t do research but simply want access to AI for problem solving to access the network and buy AI problem-solving time. In this way, SingularityNET would be similar to Amazon’s Mechanical Turk program that distributes problems to large groups of humans to have them apply human intelligence to small parts of the problem, and then all their contributions are combined to form an aggregate set of data that can be used by the client. SingularityNET wouldn’t necessarily divide a problem among multiple AI resources, though it might. It could also select one AI service that would handle the problem best. Either way, a client using the service wouldn’t necessarily have to know how SingularityNET parsed and solved a problem. All the client would need to do is pay some AGI and get a response back from the network. SingularityNET was conceived and formed relatively recently by like-minded AI developers, so it is very nascent. 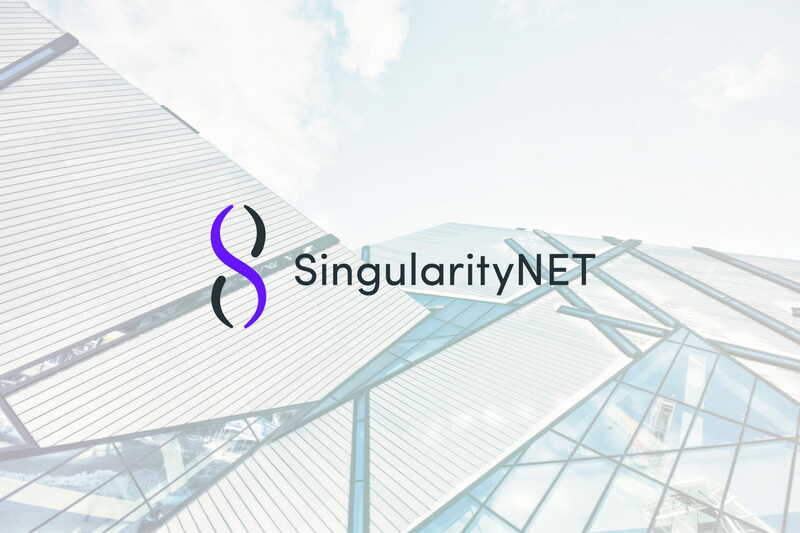 With not much more than a concept to offer, SingularityNET had a very successful ICO, raising US$36 million in a matter of minutes on December 22, 2017. As described in their whitepaper, they intend to form the non-profit SingularityNET foundation to have custodial charge over the development of the SingularityNET project, not just in terms of blockchain governance, but also with outreach to AI developers and other interested parties. At the outset, the Foundation will be led by core SingularityNET team members and associated companies, but in the future token holders will have voting rights. The intention is for it to eventually transition into a fully democratic, self-sustaining organization. The roadmap for SingularityNET shows 8 different areas of development, such as building the APIs and developing oracles for aggregating real-world data. Each area of development is happening concurrently, so it is not a linear process like most roadmaps. All projects are still in their early alpha phase, so as of yet there is no concrete product. The areas of focus include a DApp marketplace, a registry of participating AI developers and products, a “service arbiter” that uses smart contracts to help match buyers and sellers of services, an SDK to enable contributions from outside developers, a pricing oracle to establish market rates for AI services, and an open data repository that is a database of general information accessible to everyone on SingularityNET. All of these projects are still in alpha stage, according to their website. The SingularityNET team page lists over 50 members, with some of them being members of research and development groups associated with the SingularityNET project, but not necessarily under direct management. While business and development skills are well represented, as one might expect, there is a higher representation of academic degrees than most other projects, with AI research being a central focus. CEO Dr. Ben Goertzel and robotics lead Dr. David Hanson both come from Hanson Robotics, where they built Sophia Hanson, a robot designed to look like a human woman with emphasis on “her” ability to express emotions. In some places on the web, Sophia is named as a team member for marketing purposes, but she is not listed on the SingularityNET website’s team page. Although different blockchains offer various distributed computing power solutions, the only other blockchain specifically marketing itself as an AI product is DeepBrain Chain. Deepbrain Chain is a little less ambitious in that it’s simply trying to share computing power for AI projects, as opposed to SingularityNET’s goal of creating an AI network in and of itself. Both SingularityNET and Deepbrain Chain share one significant challenge, which is that AI itself is a very uncertain market. As much as everyone can sense that AI is emerging in the world and will be a part of the future, there is absolutely no clarity on how exactly it will manifest. Blockchain technology, as offered by SingularityNET to assist AI in whatever form it takes, might be somewhat immune to particulars of how AI evolves, but nonetheless its fortunes are intrinsically tied to the fortunes of AI development. The AGI token is an ERC-20 token, which may be swapped in the future for a native mainnet token, but at this time there are no specific plans. All 1 billion AGI tokens have been created and are in circulation, with half having gone to token sale participants. 20% are in a reward pool, 18% went to SingularityNET founders, 8% went to the SingularityNET Foundation, and the remaining 4% were given to campaign supporters. While we are aware that the AGI token is currently being traded on some exchanges, we do not encourage or facilitate this exchange trading in any manner. Speculative secondary trading is against the spirit of the AGI token and SingularityNET project. We strongly discourage speculative secondary trading and officially ask AGI token holders to act accordingly. So, if you missed out on the initial ICO, you might find it more difficult to find willing trading partners than other tokens. All cryptocurrency investments are by nature quite speculative, with cryptocurrency technology being relatively new and untested and the boom of cryptocurrency-related companies being even more recent and groundbreaking. However, it’s arguable that SingularityNET is on a whole other level of speculation, because the area of AI is itself a long way off from being established as an industry with a stable foothold. Applying cryptocurrency to AI is doubling down on the amount of risk you are considering. Almost everyone agrees that AI is the future, but few can say with any certainty when that future will come. The same could be said for cryptocurrency, but the parameters of what cryptocurrency is and can do are a lot more narrow, so it’s a little easier to speculate on the potential. AI, by contrast, is sometimes argued about on a philosophical level as to whether or not it really can exist and what exactly it means. Assuming you believe, as many do, that AI has a future with many manifestations in many industries, then SingularityNET would be an early bet on that future. Considering that they also philosophically oppose speculative trading in the meantime, you should only seek to acquire AGI if you are looking for a truly long-term hold. Learn more about SingularityNET on their website and blog. You can also follow them on Twitter and Telegram.